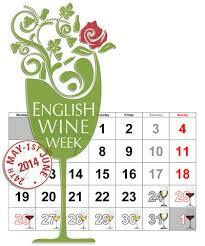 Thanks to Ant for kicking us off on English Wine Week! We didn’t need an excuse to go for English fizz but we thought it was appropriate to wait for English Wine Week to unveil our second fizz on #newwinethisweek. English Sparkling Wine has gone from strength to strength over the past decade but the reality is that England has a long and rich history of bubbly production. It is claimed that Christopher Merrett, a 17th century cider maker from Gloucester, first devised the fermentation method which gives champagne its sparkle as well as inventing the hefty bottles that are needed to prevent the highly pressurised liquid from exploding… Whether its true or not, it certainly leads to plenty of debate in the wine world!